When the PIGS come out to play. It's my favorite time of the year. 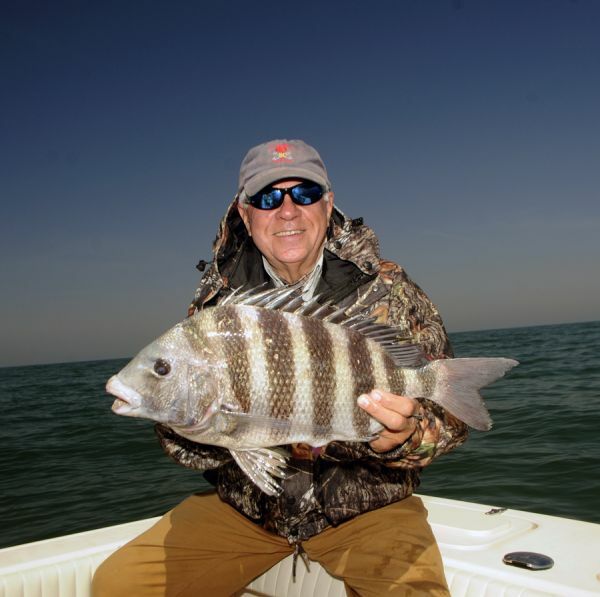 Sheepshead are on the the move and getting ready to jump into the boat. They head offshore to the wrecks and reefs in and around 20 to 75 feet.